Activities: fireworks display, visiting and greeting, Yangke dancing, lion and dragon dancing, holding temple fairs and many other great folklore-inspection events. Of all the traditional Chinese festivals, the new Year was perhaps the most elaborate, colorful, and important. This was a time for the Chinese to congratulate each other and themselves on having passed through another year, a time to finish out the old, and to welcome in the new year. Common expressions heard at this time are: GUONIAN to have made it through the old year, and BAINIAN to congratulate the new year. 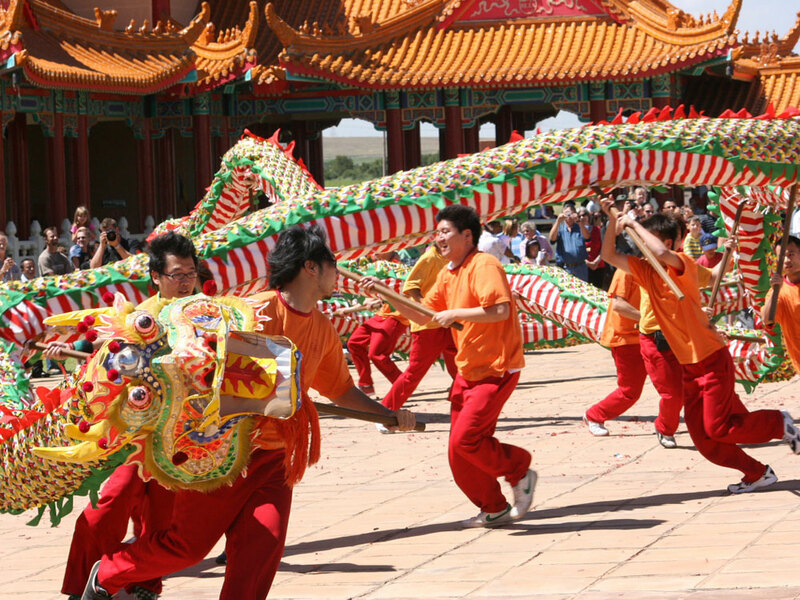 Activities: Lanterns expositions, garden parties, firework displays and folk dances. The New Year celebrations ended on the 15th of the First Moon with the Lantern Festival. In the legend, the Jade Emperor in Heaven was so angered at a town for killing his favorite goose, that he decided to destroy it with a storm of fire. However, a good-hearted fairy heard of this act of vengeance, and warned the people of the town to light lanterns throughout the town on the appointed day. The townsfolk did as they were told, and from the Heavens, it looked as if the village was ablaze. Satisfied that his goose had already been avenged, the Jade Emperor decided not to destroy the town. From that day on, people celebrated the anniversary of their deliverance by carried lanterns of different shapes and colors through the streets on the first full moon of the year, providing a spectacular backdrop for lion dances, dragon dances, and fireworks.